To all the fans of Disney! Come this 14th November 2014 to 5 January 2015, be prepared to immerse yourself in the festive mood with Mickey Mouse and Friends at Changi Airport Terminal 3. 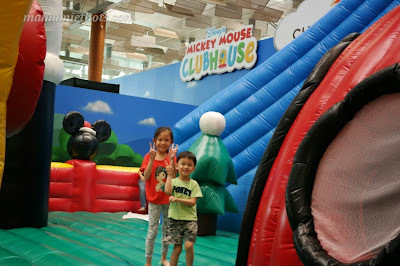 There is a big Mickey Mouse Club House Bouncy Playground located at Terminal 3 Departure Hall near Row 11. 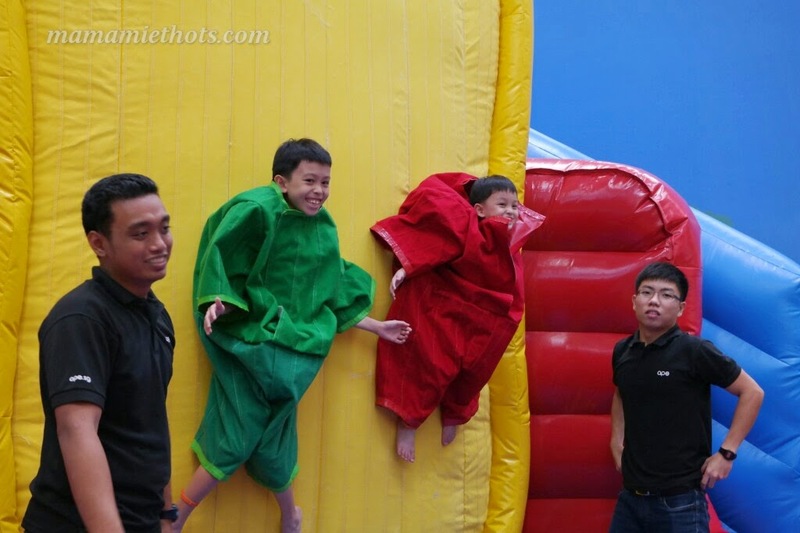 Children will have a blast cruising down the 3 metre high slide. You do not have to fly to any Disneyland to see any Disney characters or the castle. In fact, there is a 3 storey high Neuschwanstein Castle bringing visitors through the idyllic charms of Germany's countryside. 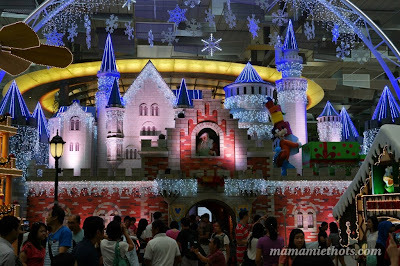 There will be "snow" at the end of the daily multi-sensory shows. 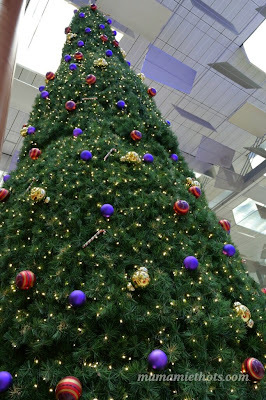 During weekends, roving performers including Gingerbread Man, Toy Soldier, Drummer Boy, Fairy Princess and candy Cane Stilt-walkers will be appearing around the airport. 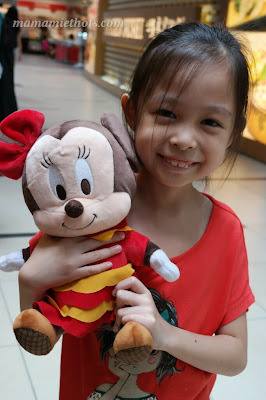 Disney fans can look forward to collecting a full set of six limited-edition Christmas plush toys featuring Mickey and Minnie Mouse in various country-themed costumes. 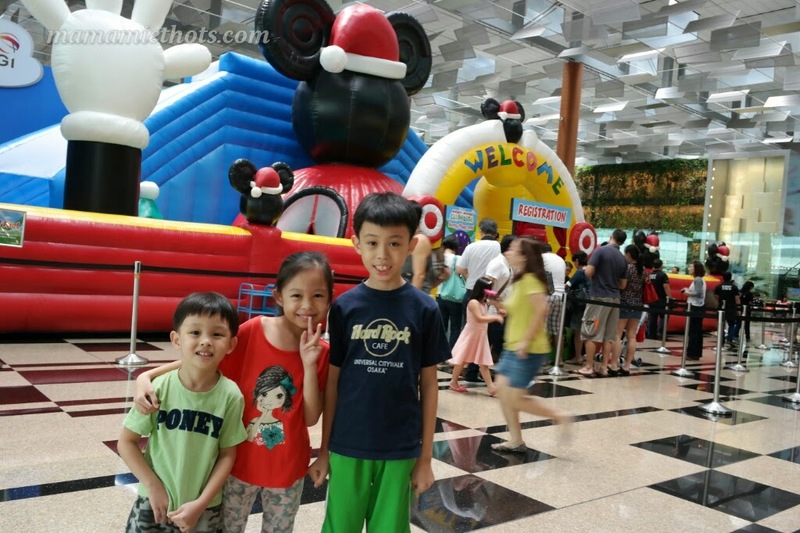 Shoppers and diners can purchase each of these plush toys for S$3 when they spend a minimum of S$60 in a single receipt in Changi Airport's public area, or S$100 in the transit area. Disclaimer: We were invited by CAG to come and experienced the Disney Magic at Changi Airport. No monetary was compensated, all opinions are my own.